Today was a beautiful sunny day. It was warm with high in the low 50s. You can’t have better December days. Really nice. The ducks are back! Only four but hopefully the other two will return in a few days. Still haven’t seen the otter again so hopefully the ducks will be able to stay. The other birds were very active today too, now that the snow is melted. 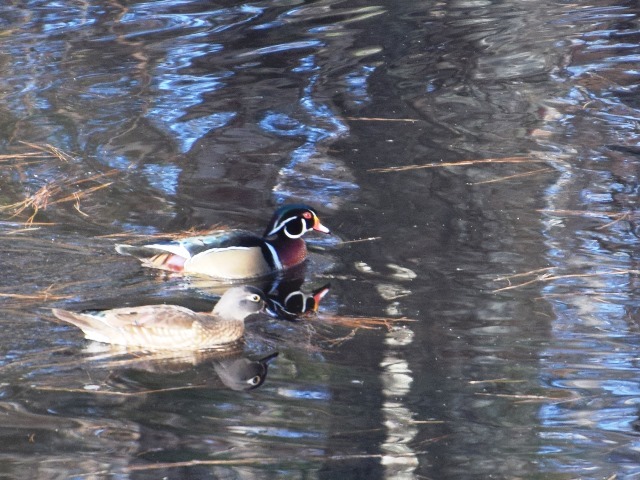 This is one of the two pairs of wood ducks on the pond this morning. 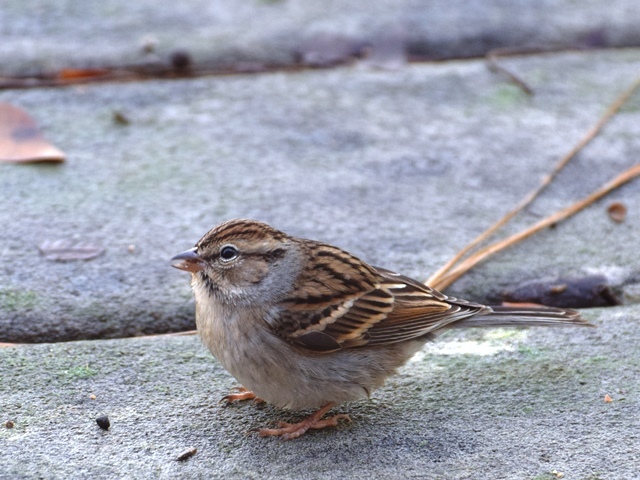 While we were taking pictures of the ducks this sparrow came by and posed. We did some online shopping this morning waiting for it to warm up a little and then it was another moving day. 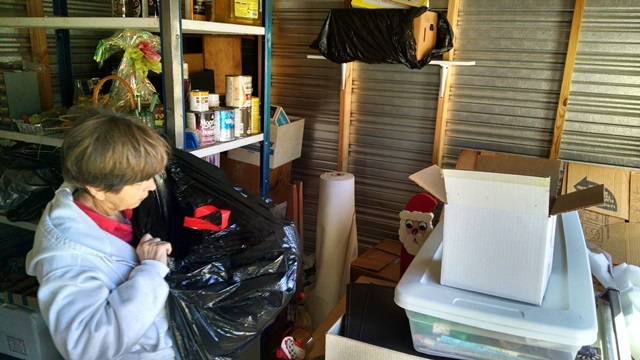 Today we were working on cleaning out Max’s mother’s storage building at the house where she used to live. We have one antique library bookcase left in the house and a few items left the storage building and we will have her moved. We got everything moved today that requires two people. 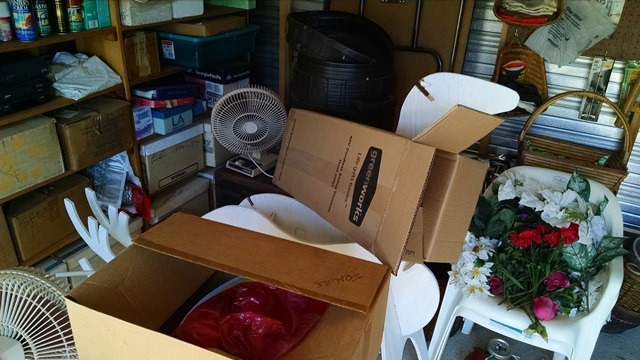 You know those little storage building can hold a lot of stuff. We had to take apart one of the large shelving units to get it out of the shed and into the truck and then put it back together at Helen’s. 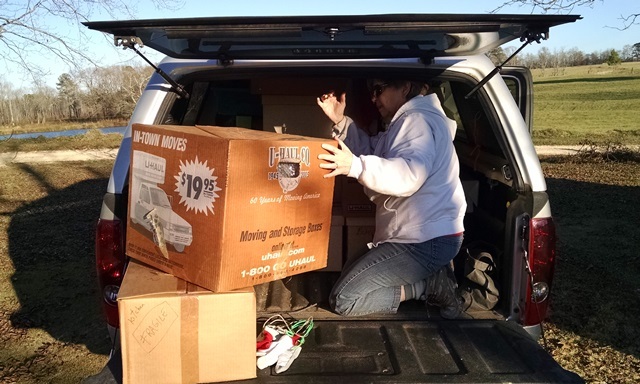 It will take a few more trips in the truck to get the remaining items because they are bulky but there is really not much left. Max should be able to finish it up later this week while Anne is in Tuscaloosa. That’s it for today. 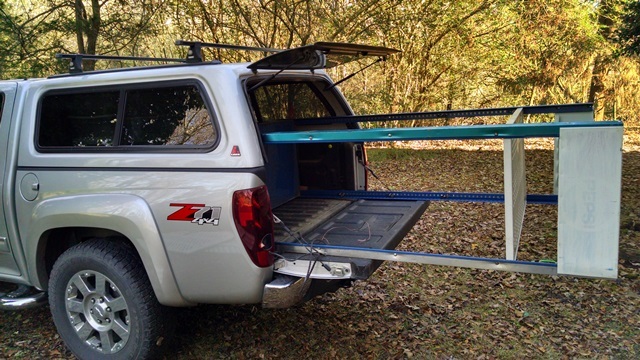 Moving stuff.